Again, we accommodate the different tastes by creating variety of colors to our products. 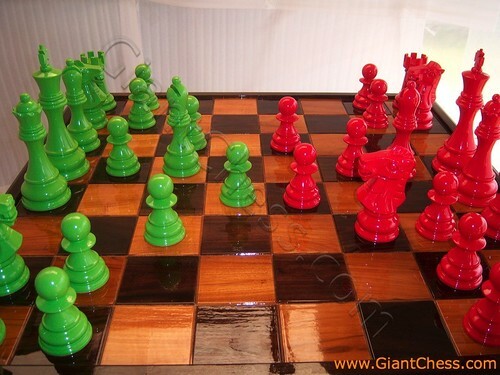 The new attractive colors of our chess piece are green and red add fresh touch in your house. The colors promote modern and elegant look. Combined by the brown chess table, it is perfect to be placed in your house. The green will bring its fresh influence and the red bring its brave touch. Have it now to make your house feels different and colorful. Those chess pieces, chess table and stool are carved by our professional craftsman and made from best quality of Teak wood.